The United States Navy is the most powerful navy in the world, but the nation’s merchant fleet is dangerously weak. At the beginning of 2017, the U.S. government and private businesses and individuals privately owned just 2,021 deep-water vessels. But 96 percent of these vessels were registered in nations like Liberia, Panama and the Marshall Islands. They fly foreign flags and are manned by multinational crews. Only 81 of America’s merchant ships actually fly the U.S. flag. These ships are manned by sailors who have taken an oath of allegiance to the United States. This is the U.S. merchant marine fleet. As more U.S. companies try to avoid taxes and cut labor costs by registering their ships in foreign nations, the merchant marine fleet has dwindled from 1,288 deep-water vessels in 1951 to only 81 ships today. This is a serious problem. The merchant marine carries cargo during peacetime, but becomes an auxiliary of the Defense Department during wartime. The Navy itself cannot sustain enough ships to operate a large-scale supply mission in faraway nations, so it relies on the merchant marine to deliver troops and supplies to foreign conflict zones in times of war. During the 1991 Gulf War mobilization, the U.S. military had to rely on foreign-flagged ships to send military supplies to the Middle East. The crews of 13 foreign-flagged vessels rebelled against the U.S. and forced their ships away from the war zone. An Air Force general recently warned Congress that the Pentagon could again face a similar situation. Maritime administration chief Mark Buzby, a retired Navy rear admiral, told McClatchy News that foreign crews could even sabotage cargos of U.S. equipment and information systems. Or they could refuse to deliver U.S. military supplies until America reclaims and reflags its ships. This would delay U.S. military forces in an environment where timing is a matter of life and death. If a foreign naval power creates a naval blockade at sea, any vessel flying a foreign flag may choose to remain neutral and not carry American cargo through disputed territory. China understands the strategic implications of America’s dwindling merchant fleet. That is why 4,973 Chinese deep-water vessels fly the Chinese flag. China’s merchant vessels stand ready to support the People’s Liberation Army at a moment’s notice. While almost 17 percent of merchant vessels worldwide flew under an American flag 50 years ago, less than half a percent of merchant ships fly the Stars and Stripes today. Americans take for granted the U.S. Navy’s ability to handle any conflict that may arise. But navy ships need supply lines. Capt. 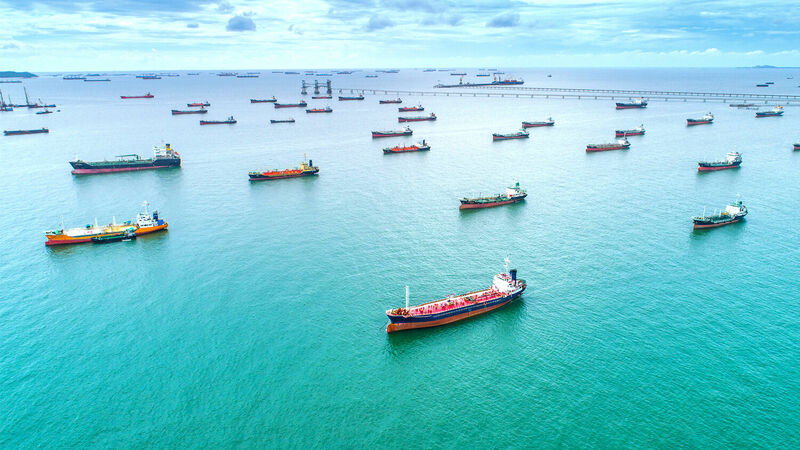 Carl Schuster and Dr. Patrick Bratton authored a 2015 report on maritime security claiming that America’s weakness in commercial shipping is the nation’s Achilles’ heel. In his book The United States and Britain in Prophecy, Herbert W. Armstrong explained that the U.S. and Britain descended from the patriarch Abraham. God promised to give Abraham’s descendants control over the “gates” of their enemies (Genesis 22:17). When speaking nationally, such access points include the Panama Canal, the Suez Canal and the Strait of Malacca. God gave America and Britain those commercial gates, and He gave them the commercial and military power to defend them. But God also warned that if America and Britain did not obey Him, then not only would those sea gates be taken away but they would be used against them (Deuteronomy 28:52). The decline of the U.S. merchant marines is a curse on America that is stripping the nation of its ability to defend vital trade routes around the world. To learn why this prophecy applies to the American and British peoples in particular, request The United States and Britain in Prophecy, by Herbert W. Armstrong.